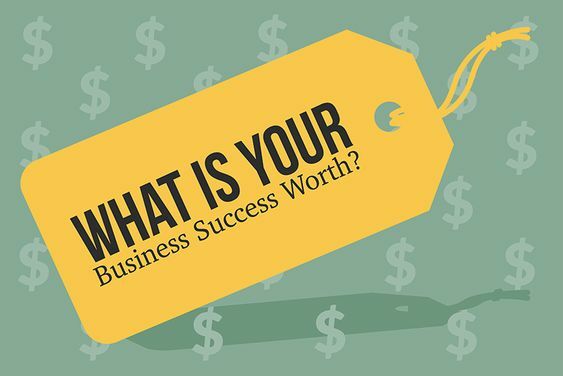 What Are the 7 Proven Principles of Business Success? The 7 Proven Principles to Business Success will overcome whatever limitation you have. 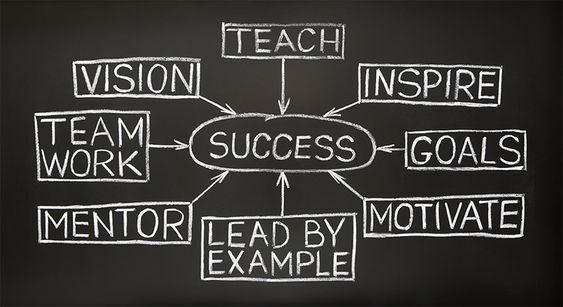 Think of it as a recipe for success in business. All you have to do is first of all learn what the 7 principles are, and then apply them, in order. When you follow this recipe all of your challenges will fade away. Why do you own a business? Isn’t it because you want a LIFESTYLE? You didn’t intend to work long hours, be stressed, have little time off and be hassled with staff and customers did you? Principle 1: Work on yourself to understand people. Business is all about people isn’t it? You have them as customers, you employ them, but few people have realised the absolute key to success is understanding people at a much, much higher level. You sales and marketing skills are determined by what you know about people. Your leadership skills with your staff to get them to perform as well as you do is determined by your knowledge on people. So what’s the best way to learn about other people? Easy, learn about yourself! You’re a people and the more you learn about yourself the more you automatically learn about other people. Principle 2: Learn business success principles. There are so many principles to business success, but I’ll emphasise just a few. One is, you’re in business to make a profit, not just turnover. Turnover is a job, whereas profit gives you a LIFESTYLE. Your aim should be to increase your net profit percentage of turnover, as this allows you to grow and pay yourself whatever you desire. Net Profit percentage comes from improving everything you do, not just doing more of what you already do. How you answer the phone, how you greet people face to face, how you write your ads, improving your communication and leadership with your staff. All of these are areas to improve. Another principle of business success is cash flow. Cash flow means having the cash in your bank account that should be in your bank account. If customers cost you money before you get any back, that’s negative cash flow, if you get cash before you incur a cost that’s positive cash flow. The better you get at getting money up front with deposits and getting people to pay on time the better your cash flow. Principle 3: Set goals and have a plan to achieve them. Until you set a goal you don’t have a reason WHY you will improve your business, therefore the HOW doesn’t matter. People have to know why, before how. You’ll want to know how to grow your business once you have set a written goal. When you have a goal its time to look at the relevant strategies for your business. I know of over 300 strategies, but most people can only think of about a dozen. Strategies are like tools. If you go to build a house with just a hammer, a saw and nails you will be building it for a long time. Business is the same. When people don’t know what strategies are available or suitable to them how can they effectively grow their business? A Business Growth Plan is simply the order of implementation of those strategies beginning with the highest priority strategy. When you have documented goals for 3, 6, 9, 12 and 24 months with a list of strategies in order you have a Business Growth Plan that makes growing your business EASY! Principle 4: Turn your staff into a TEAM. Unfortunately business owners are trying to do it all on their own. They often don’t train their team regularly with team meetings or one on one allocated time every week. I believe you have one role as a business owner, to be a great teacher! Your aim should be to teach everyone in your business how to do everything you currently do, better than you do! And what does that then make you? Obselete! When business owners think no one can do my job as good as me, they are digging a big hole for themselves they will never get out of. Then they wonder why they are stressed, tired, work long hours and this happens more and more as the business grows. TEAM stands for Training Everyone Achieves More! Principle 5: Build foundations for growth. If you want to build your business to provide a great lifestyle you need to put foundations in, just like building any building. If you don’t intend to really increase your profits then you don’t need foundations. If you want to seriously increase your net profit percentage (even without increasing turnover) you must have strong foundations. When they build a skyscraper they don’t build up, they dig a big hole down. The foundations in business are 2 things. First, having documented systems. A system is just a best way of doing something that everyone knows and uses that has been identified and written down. It helps consistency and efficiency and as you grow people are accountable to the systems, not to you the owner. That means you save time checking on everyone. Systems only work when you have worked with your staff to turn them into a TEAM. Secondly, measuring everything is part of building foundations. If you haven’t measured your Key Performance Indicators how will you improve on them? Increasing Net Profit percentage of turnover comes from improving everything you currently do, remember? Principle 6: Implement EFFECTIVE Sales and Marketing. Everyone in business is already doing sales and marketing but how effective is it? You know when you have effective sales and marketing, here’s how: you won’t get so many price shoppers as your marketing already has “sold” them on buying from you. Your marketing is so effective you only have to run it a third as much because you can’t handle the increase in customers it brings you. And you’ll know your sales and marketing is effective because you put your prices up 20% and also increase your conversion with the price rise! People in business don’t take responsibility for their sales and marketing and as a result they don’t get the results they desire. If you learn sales and marketing by paying a professional for a few months it will be the best investment you ever make. Once you learn the principles of success you can then add to them yourself, but often you need an expert to get you started. Principles 7: Manage the business. Unfortunately businesses aren’t managed at all well. You can tell by these examples… decisions aren’t based on numbers, there aren’t documented systems, regular weekly team meetings aren’t happening nor is weekly one on one team training. Management is all of the above; it’s making decisions on numbers. e.g. you measure how many customers you serve in a week for each team member and measure the number of new customers each week and then work out your team can service 5 customers each per week. That means if your marketing can produce 5 new customers and if you’re at maximum service capacity you need to be thinking about getting a new team member very soon. This is what management is, training your team weekly, documenting systems, measuring numbers, making decisions on numbers, setting goals and helping your team to achieve their own. When you dedicate time to learn and then follow all 7 Principles, in the order above anything is possible. I’ve had clients increase their monthly turnover by 1,000% in just 5 months when the business wasn’t growing at all and the owners did it with ease and grace, no stress at all! What’s your growth potential? Are you realizing it yet? If you’re not growing at 50%-100% a year you’re possibly not growing as fast as you could!